I’ve yet to nail down which marathon I’ll be running, but I have an idea about when I’ll be debuting at the 26.2 distance: March 2019. This time frame fits nicely into the non-coaching portion of my school year and it’s in a good spot for me to build upon my momentum I built up from the Philly Half Marathon where I ran a 1:31. Finally, as an added bonus, it’ll be just in time for us to use our credit card points to travel and stay wherever I choose to race at. Back in August, I laid out what I thought my racing schedule would look like for the next 8 months. It didn’t include a lot of racing – something that I’m ok with – but it did have me jumping up in race distances. My last half marathon was in 2012 where I ran a 1:20 and so it’s obviously been a few years since I’ve even attempted a longer race. Now I’m entering uncharted territories. I’ve never run a marathon and quite frankly, never had the urge or desire to run one. But some point in the summer I was told I definitely, maybe, probably, should run a marathon. It didn’t take a lot of convincing to plant the seed, but now that it’s lodged in my brain, I guess I might as well scratch the itch. I’ll note that this is the same friend who convinced me to come out for the cross country team back in HS. And so while I’ve been contemplating which race to run and when I should run it, I did some homework on the best sites out there to find such a race. I’ve used some of these running sites to find local 5k races in the past, but now that I’m going into the deep end, I really wanted to do some legwork to find the right fit for me. 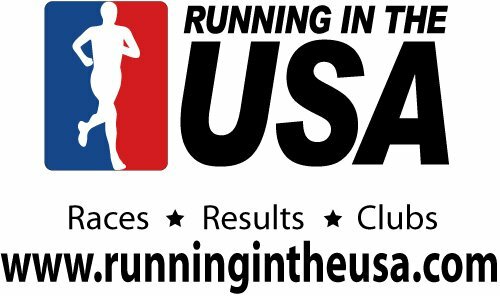 I used 3 different running websites to begin my search: runningintheusa.com, race-find.com, and runsignup.com. All 3 of these sites have great things to offer runners in terms of searchability and getting the information we need to make an informed decision. These sites all have the capabilities to search by state, by month, and by race distance and that’s very helpful for someone looking for races. The site is great. I’ve used it for YEARS to find local races and whenever runners in the run856 group are asking about races, I send them here. The site has a great layout, plus it’s really easy to find races by state and then by month. Lastly, they have direct links to each race’s site. Makes doing some of the research a little easier for us. This was a new site for me – I’ve never heard of it before. If Running in the USA is Meb Keflezighi – trusty, always reliable, and been around forever, then Race Find is Eliud Kipchoge – sleek, fast, new design… Everything you’d want in a really good website. Again, Race Find has everything that Running in the USA has, it just looks nicer. Does it have every race that Running in the USA has? I don’t really know and can’t say for sure. But it had enough that I was ok with writing this. This is a really good site for race directors and for finding results for races you ran in. Initially, I couldn’t find where to even search races for, but once I did, it was smooth sailing. It’s my belief that they only connect to races that they work with, and so not every race I saw on the other two sites were on their site. There aren’t too many race locales I want to run a marathon in with the unpredictable March weather. Since I know what is possible in the Northeast, I ruled that out pretty quickly. Flying across the country wasn’t going to be a financial option because our points wouldn’t get us all the way there. That left the southwest and southeast portion of our country that fit the weather, budget, and timeframe I was looking for. While I’m still narrowing down my choices, I won’t be registering for any race until at least 2019. I want to make sure I can pile on the miles without getting injured. Once I get over the initial hump of “back to training” then I’ll make a decision about whether or not racing 26.2 freakin’ miles is really a good idea or not. I used Running in the USA when I was picking my last marathon. I also found it super easy to use. Thanks for the recommendation on the other two websites. Good luck in your search. I’ll enjoy watching you train and run your first marathon! Try marathonguide.com for another resource. It lists almost all the marathons plus you can find reviews of each. It’s a pretty cool site. Thanks! I’ve narrowed it down to a few… Some of them are “smaller” and I’m not sure I want to be running 26.2 almost solo, so I’m thinking about a bigger one. Yeah, I am a big fan of Running in the USA. Good luck in your race tomorrow! Hope you have a great time! Awesome – glad you liked them. Thanks for possibly sharing!